When I saw the UmWow Heart Confetti mask , I knew it would go perfectly with Red and her little basket! Using the stencil, it was so easy to make the heart background with a small dauber and some red Distress ink. I have a bunch of stencils, but I really like how the UmWow ones are noticeably thicker than your average mask. To pop out over the stenciled background, I decided to die cut Red on a hill:) To get her on the hill, I did a partial die cut using the coordinating Red die (you can see all of her is cut but her feet). [I'm not going to get into partial die cutting here, but there's tons of tutorials out there if you search "partial die cutting"] Then I used the arc die from my Custom Panels die set to create each side of the hill. 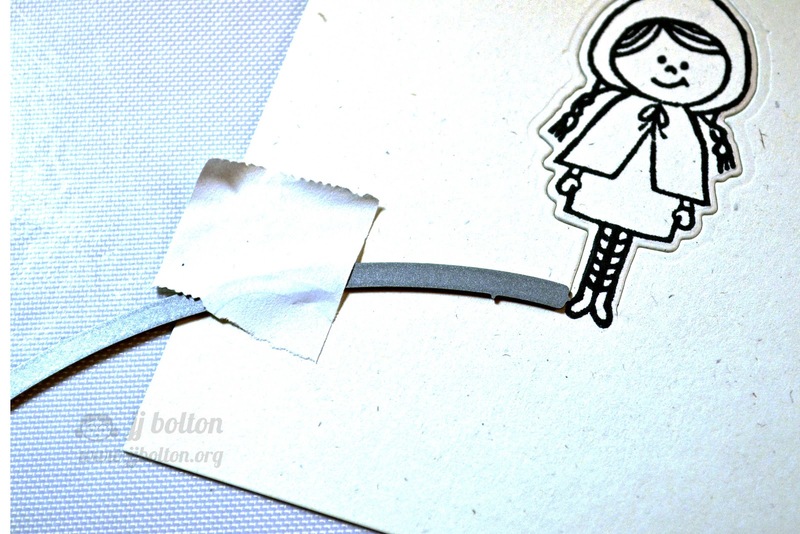 Because the arc die is open ended, you can just line it up with the end of any cut to create something totally new! That's all for me today! Be sure to check out the Avery Elle Blog all this week for projects using May Arts ribbon and UmWowStudio products! Love this! 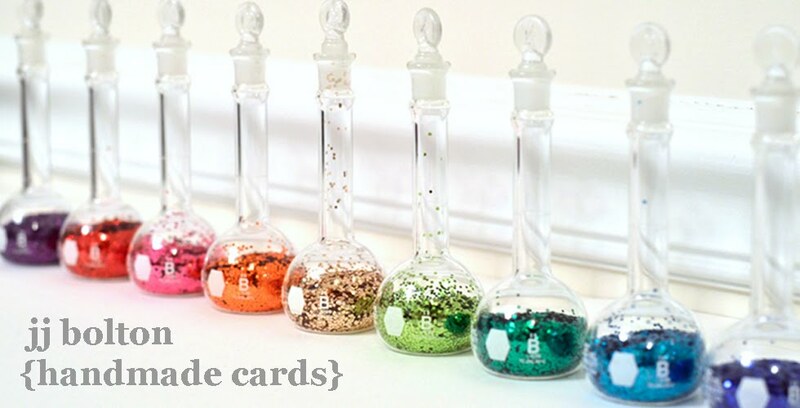 Clever use of your dies. So cute! 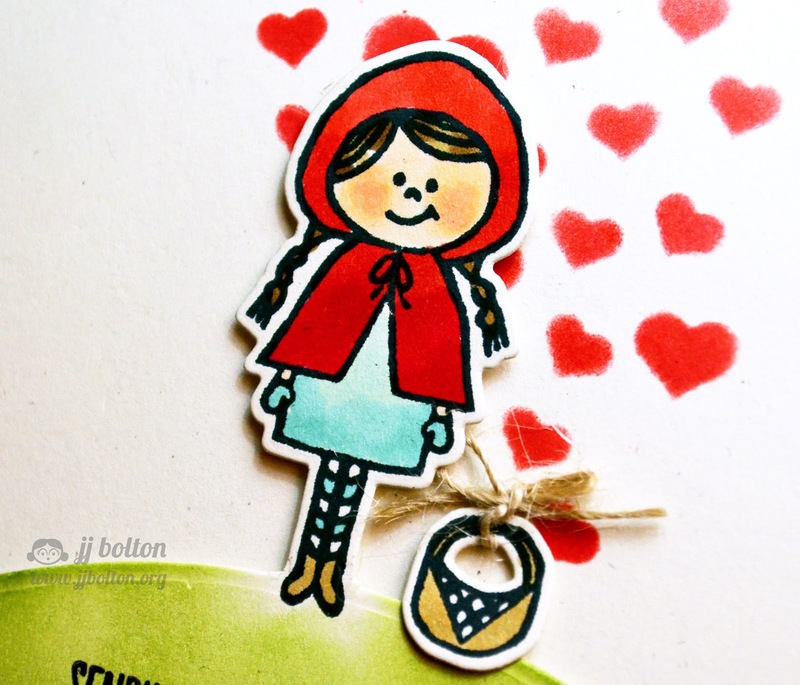 I love the hearts coming out of the basket and great die cutting! ok that is the cutest. i need to ink mine up! Wonderful die cutting, JJ! And I just LOVE your bright red with the muted green. WOW! Very cute card. Great share.